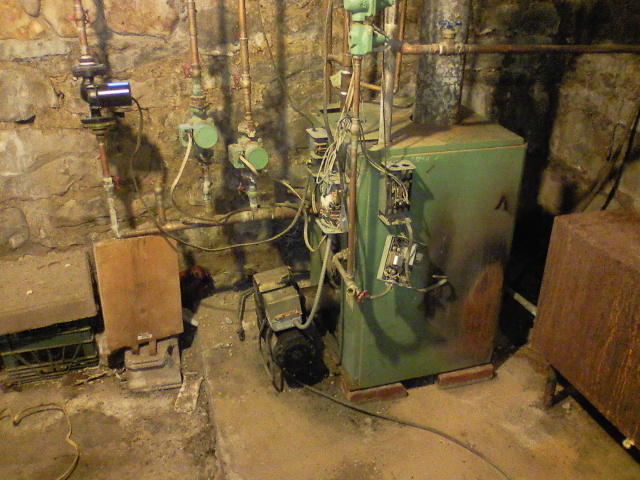 "Outdated and Dirty" meets "Clean and Efficent"
This old boiler was installed improperly from the start. 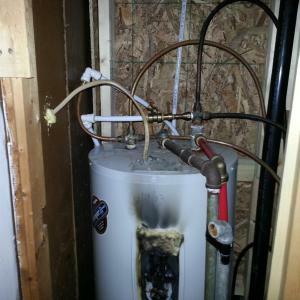 As a direct result, the homeowner had high heating costs, uneven temperatures, and frequent maintenance﻿. 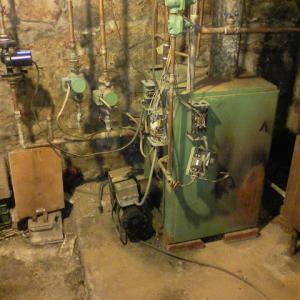 Upon completing the installation of the new boiler, the customer has already reported plenty of hot water, comfortable temperatures, and decreased oil consumption. It's not always about just having a nicer looking installation. 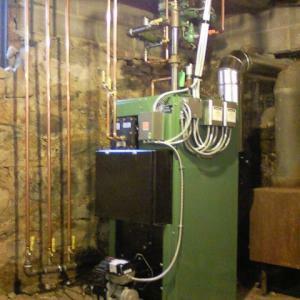 Sometimes it's about proper sizing, installation, and setup to achieve the most efficient and comfortable operation, saving you money and unnecessary downtime. 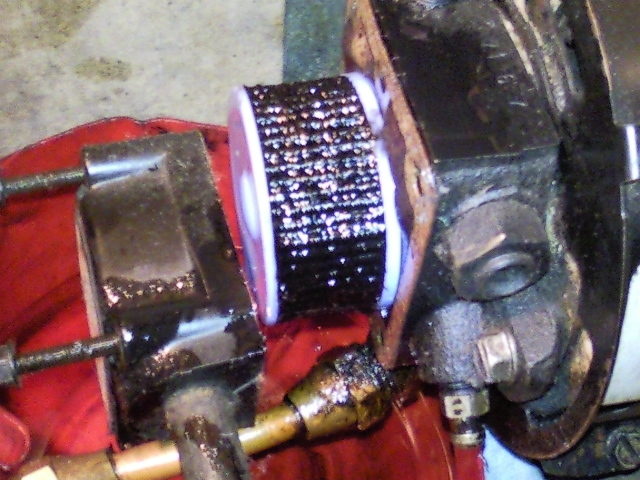 A dirty fuel filter can stop a heating system in its tracks. 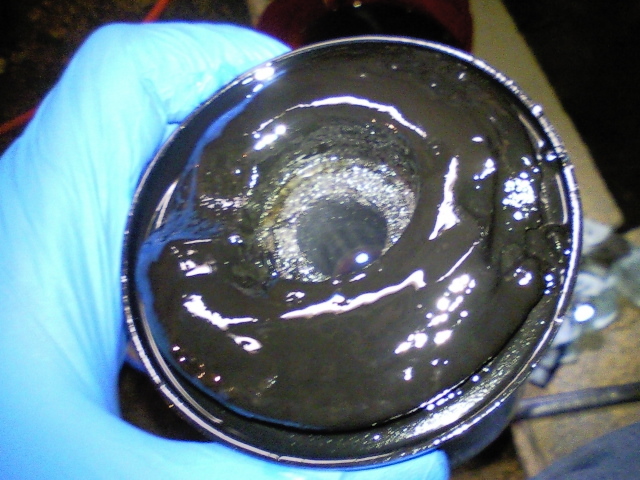 Even if the system is still working, the loss in oil pressure can cause considerable loss in efficiency and extreme carbon buildup. 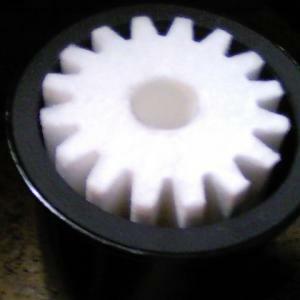 This is what a newly installed fuel oil filter looks like. In addition to our multi-point annual cleaning and maintenance inspection, this simple routine service will keep you running at peak performace all season long. * Ask about our Annual Cleaning Special! 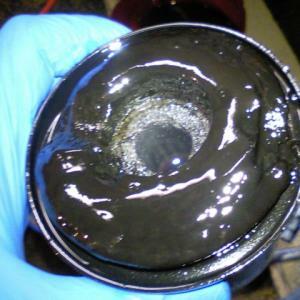 Cleaning your heating system now may save you hundreds in fuel consumption and service fees. 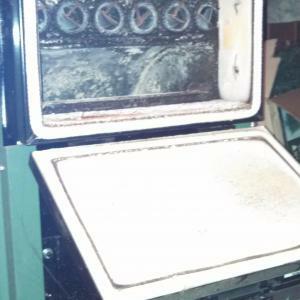 A dirty filter, nozzle, pump screen, or just improperly adjusted burner can make the insides of your furnace or boiler look like this in a matter of hours. 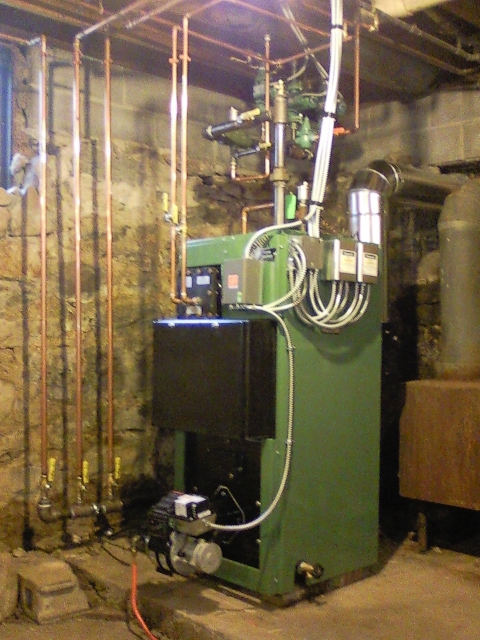 After a thorough cleaning and adjustment, your heating system can function like new again saving you money. *Looks can be deceiving. 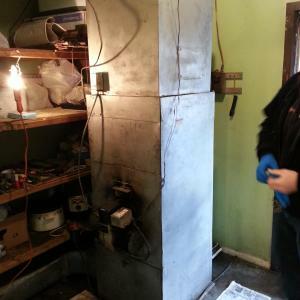 Sometimes your heating system looks and sounds fine on the outside, but do you really know how it looks inside? Schedule your seasonal cleaning now. 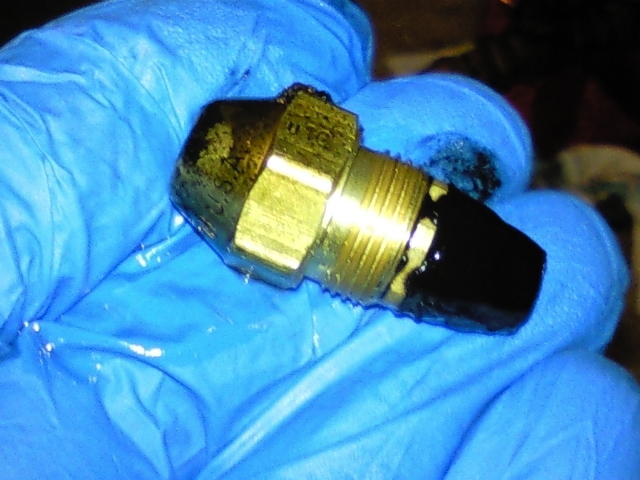 When installed incorrectly, expansion taks cannot function as designed, causing higher operating pressures, leaky gaskets, increased room temperatures,and sometimes unnecessary 'blow-offs' at the relief valve. 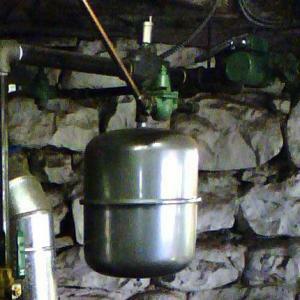 Once installed, as the manufacture suggests, the system maintains a normal operating pressure, providing trouble-free service to the homeowner. 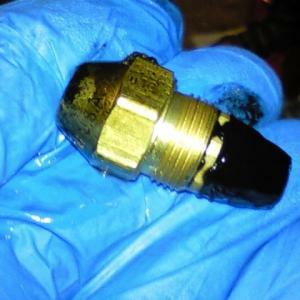 *Leaking gaskets or valves are not normal. 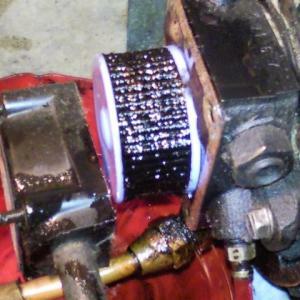 Left unchanged, leaks can worsen, causing larger leaks, or even system downtime. Contact us for a system inspection. 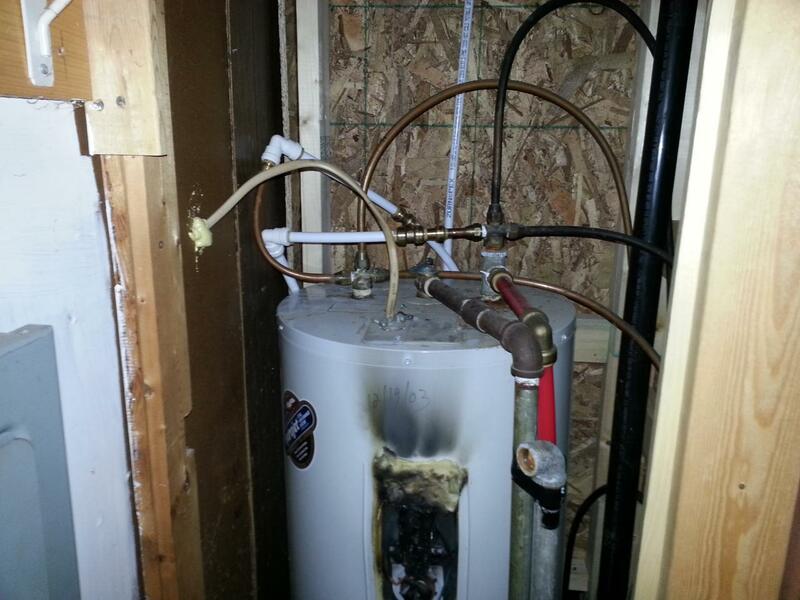 This messy tank installation, leaked and shorted the electrical components, nearly causing a house fire. 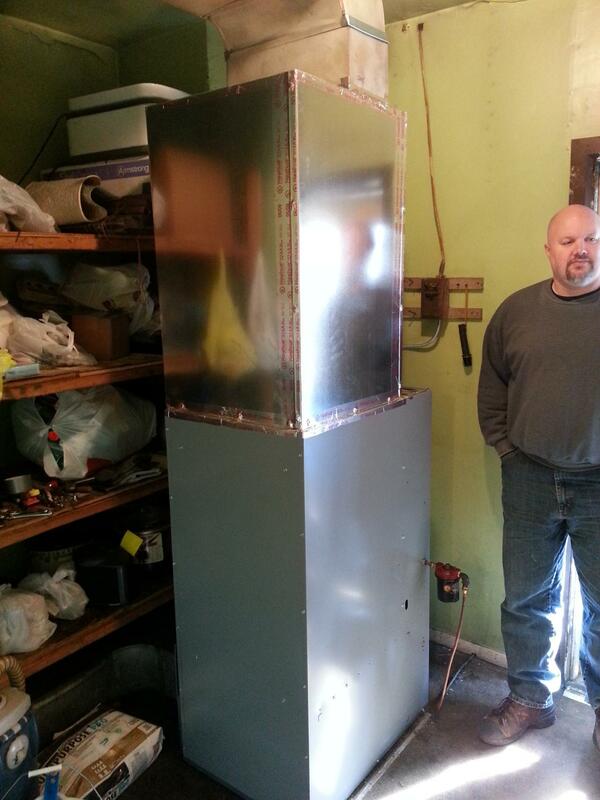 Installed to code, this heater will provide ample hot water, as well as 'peace of mind.'. 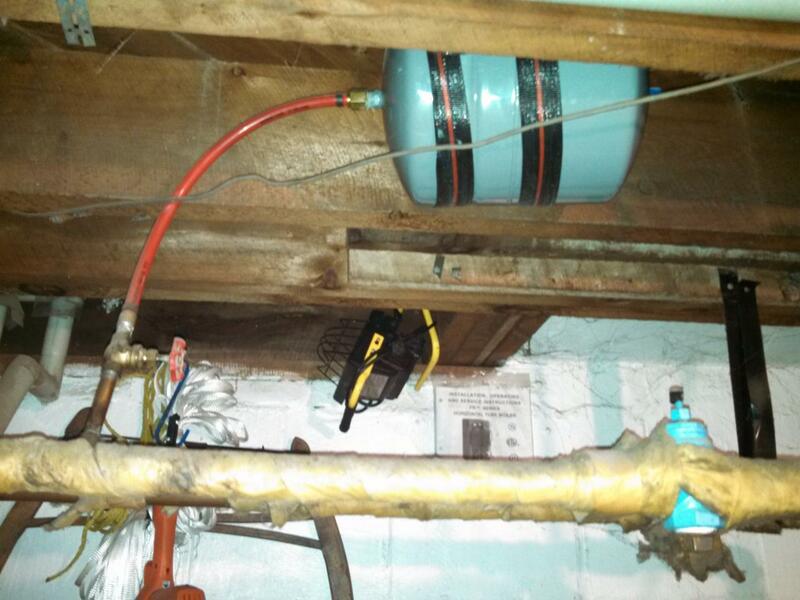 *Water leaks not only cause rust,but also results in﻿ mold growth. 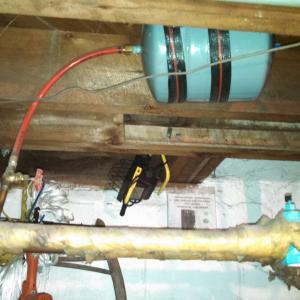 It can also lead to wood rot, ﻿promote harmful insects, and (when in contact with wiring) can cause electrical shorts and fires. 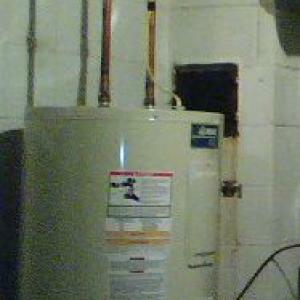 Aren't sure about your water heater? See 'fuzzy' valves? Water on the floor? 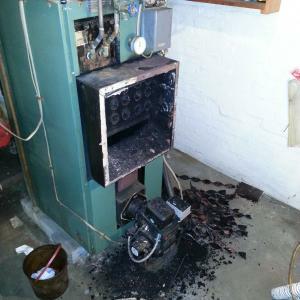 Contact us for an inspection and prevent future problems. With the nozzle's orfice the size of a needle point, it is crucial to your system to keep the fuel as clean as possible. 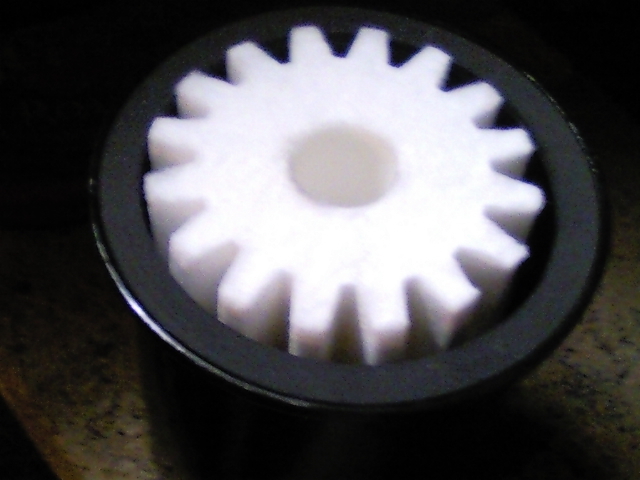 Clean fuel filters, pump screens and burner nozzles promote optimal efficency. 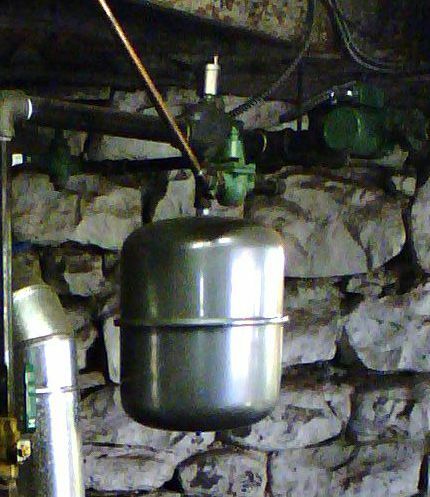 All heating components, from the oil tank to the chimney cap, need to be clean and functioning for the best possible efficiency. We like to refer to the fuel pump screen as the 'forgotten filter', as most technitians fail to replace them on annual cleaning/tune-ups. *Think of efficiency as getting as much as you can for your money. If you aren't burning efficiently, you aren't getting all you pay for. 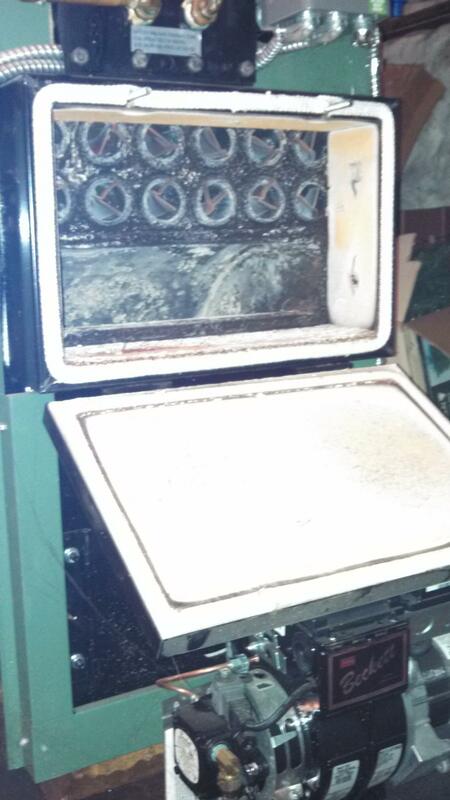 Call us today to set up your system cleaning and return to peak system efficiency! 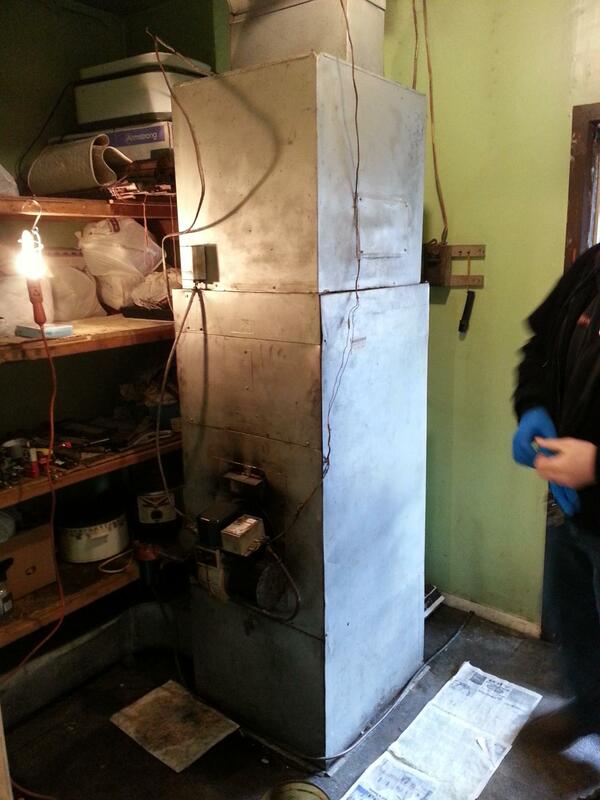 This furnace was not only showing its age, it had a cracked heat exchanger. Combustion gasses filled the home. Its quick replacement saved lives. 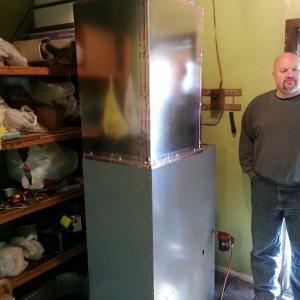 This furnace not only looks cleaner, it's safer, uses much less electricity and oil to opperate, and it moves much more air than the previous system. 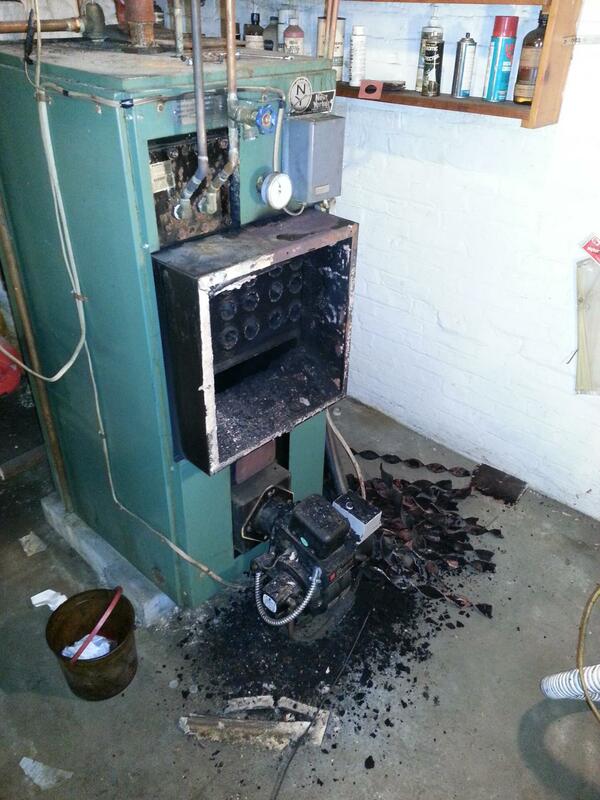 *It is not normal to smell fumes from your heating system. At best, you may need a cleaning/tune-up. At worst, carbonmonoxide poisoning may lead to health problems, and in extreme cases, loss of life. If you are worried about the health of your family or heating system, contact us today for a saftey and reliability inspection. Want to see more of our work? Here you can see some 'before' and 'after' pictures, jobs we've done, and things to watch out for. If you have a question about anything you see here, or want to know how you can save money on your heating costs, please use the form on the "Contact Us" page to your left and we would be happy to help you.